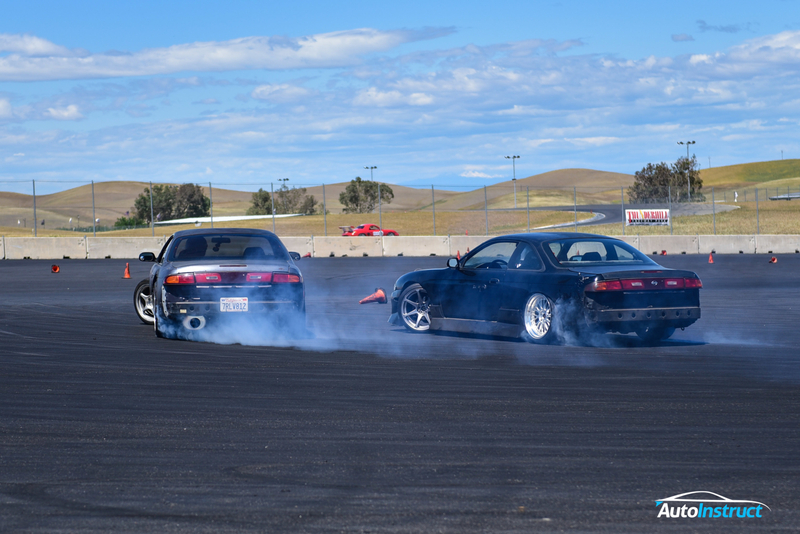 As part of our recent adventure to Thunderhill Raceway Park with 034Motorsport, we couldn’t help but notice the constant screech of tyres coming from the distance. We quickly discovered a large skid pad in the corner, and today it was being used for drifting. We walked over to find a constant stream of vehicles coming in and out of the skid pad, working alone or in tandem, informally refining their skills and capabilities. 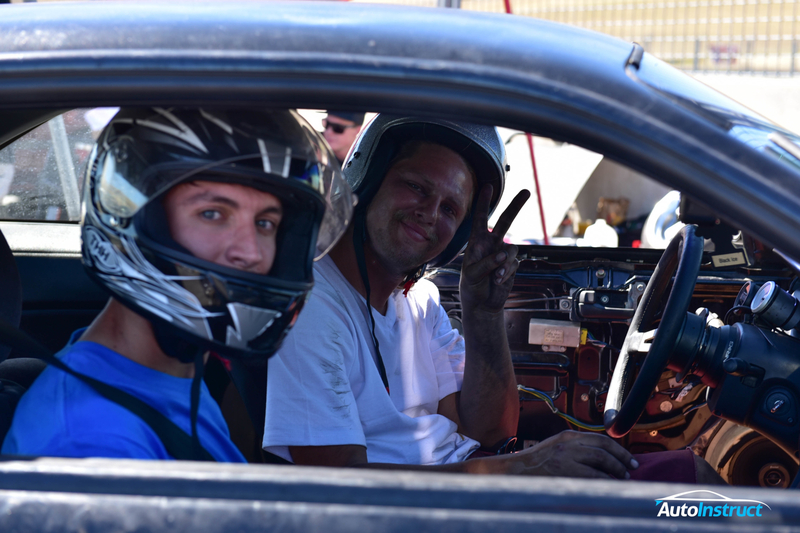 We saw a number of different cars competing, ranging from Mustangs, to BMWs and Nissans. If you’re looking for straight-line driving, you won’t find it here! 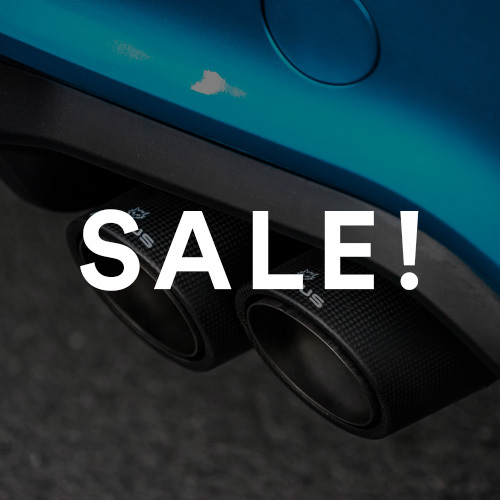 Sporting an R32 front end with supporting rear taillights, this car is running an almost stock Dual Cam KA24DE, with only the basics of intake and exhaust. 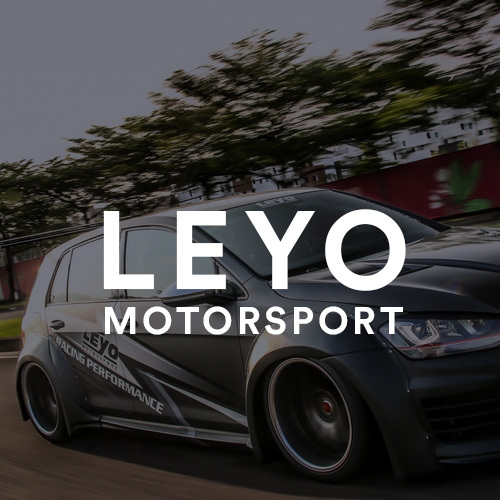 The cooling system had been optimised to handle the low airflow resultant from drifting, and all forms of emission control and AC had been removed. 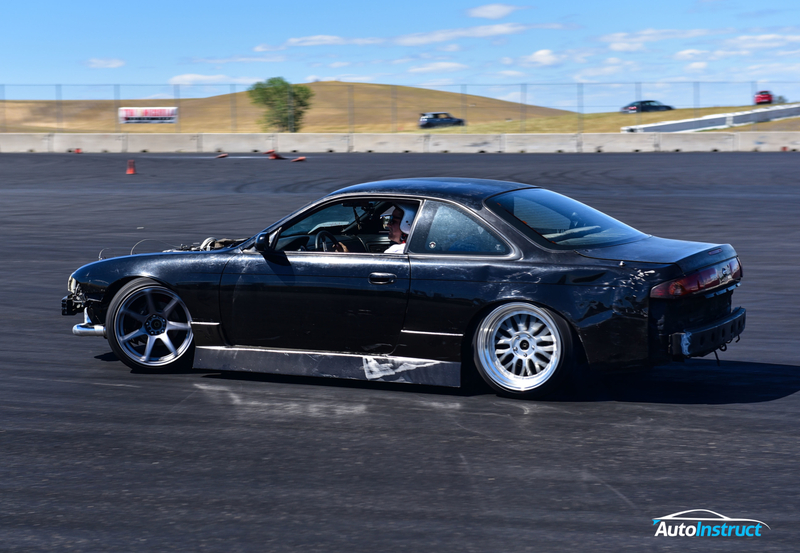 Suspension was packed with PBM competition coils, modified knuckles and control arms, a welded differential and more. Celebrating his Birthday on this day (Happy Birthday Travis!) 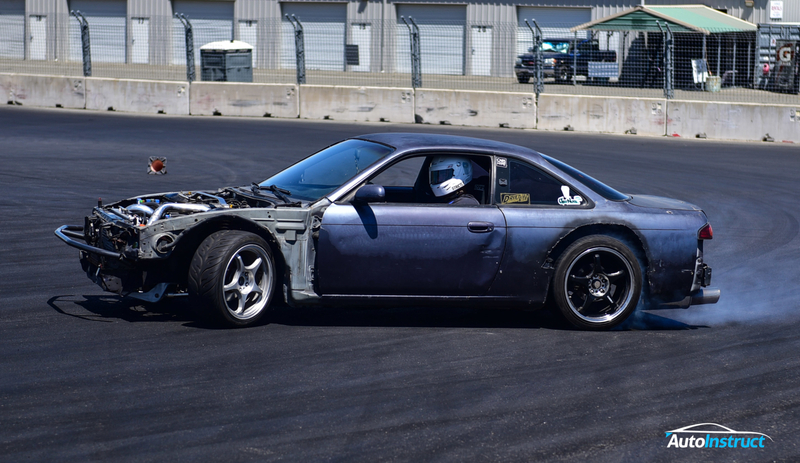 this drift weapon was powered by a 1.5JZ Swap, featuring a borrow diesel turbo. Key to any drift car, his entire suspension setup had been upgraded, and the result was a reliable, fun, drift car. 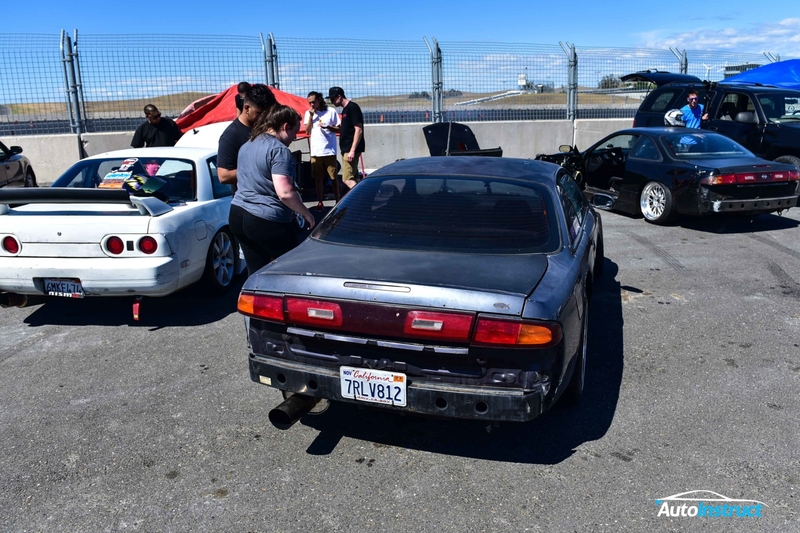 This S14 was running a swapped S13 Red Top SR20DET. Huge effort was put into cooling, with a big radiator, uprated fans, oil coolers and more. An array of suspension upgrades put both the front and rear ends into drift spec, heavily featuring components from PBM, Cusco, and ISR. All vehicles featured different levels of stripped interiors, exteriors, and hardware, with only the essential parts on board. After a quick tyre change they were back onto the pad, and we were pretty impressed with their skill set considering they had only been drifting a handful of times. Each run consisted of 3 – 4 corners depending on the route chosen by the driver. We were bemused by the touchy nature of drifting, and a friendly tap from a fellow driver only pushed them further, and resulted in many moments of damage comparison to see who came off better. 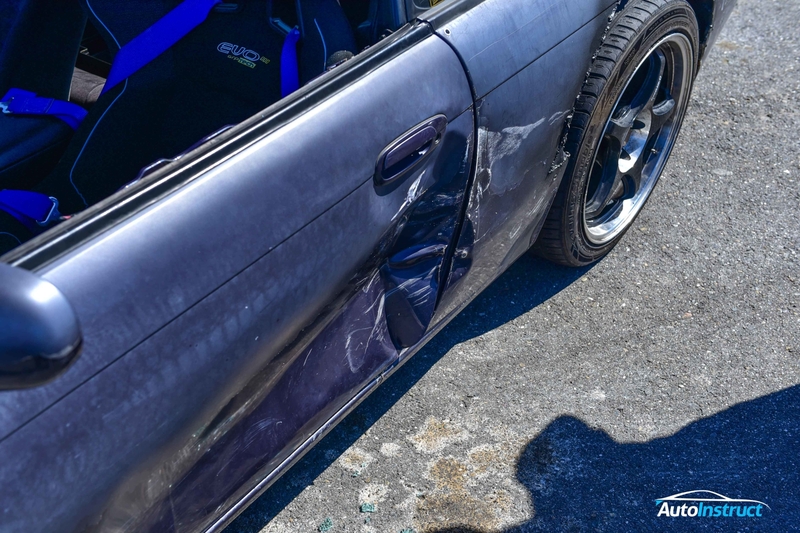 Unfortunately for Reg in his S14, this hit from Travis also smashed his driver’s window. Ouch. I am told that inflating a football between the door skin will pop that dent right out! I managed to photograph this very amusing slide, where Travis lost his entire front bumper mid-drift, which was then eaten up and completely destroyed by Reg who was following close behind. 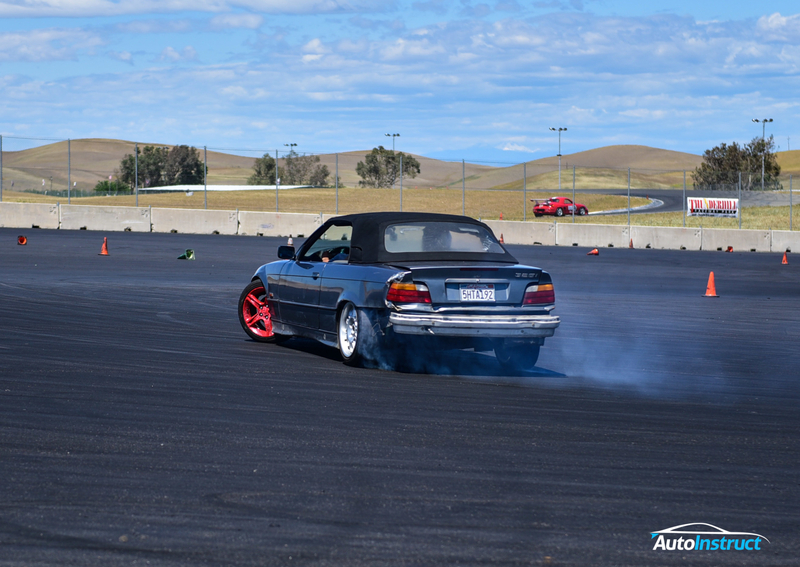 Maybe cable ties weren’t such a great idea, but they didn’t seem to care – this is what drifting is all about. Anybody know where to find an S14 front bumper? A slow start escalated after Travis side-stepped the clutch, and let it rip. With the turbo screaming, he led us into a very fast left-right-left drift, and then slid us against the wall, resulting in what I would call a nice ‘tap’. Travis was certainly excited by his efforts. We went around again, and this time we scored a double wall tap on opposite sides of the skid pan, forming part of a figure ’S’ drift. Much excitement followed, and the battle wounds of white concrete dust on both sides of the rear support bar were a clear sign of victory. Cristian was up next, luckily the helmet fitted him better. Back onto the circuit, round and round they went in both tandem drifts and individual runs. Cristian also experienced a wall tap (or wall “smack” as he described it) and was impressed with the skills he saw from not only Travis, but also Reg and Ger who were in hot pursuit. We both noted the scream that came from the exposed turbo, it’s an incredibly pleasing sound. Below you’ll find our video from the event, which we’ve put together using a combination of car-mounted GoPro’s (Yes they survived!) and trackside footage. Don’t forget to follow these awesome men on Instagram and YouTube, and if we’re ever back in California we’ll be sure to visit again. Stay sideways.